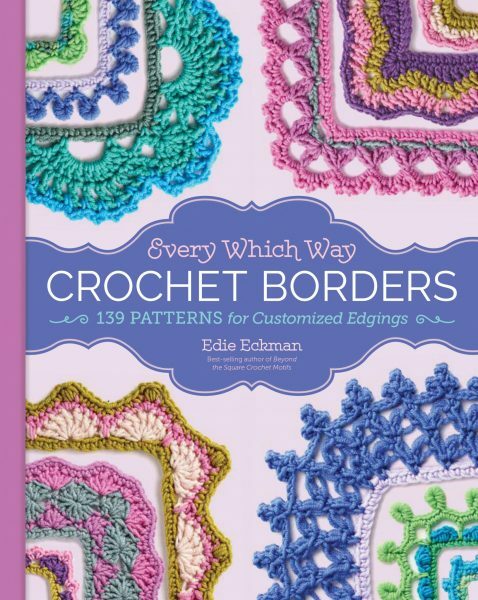 Edie Eckman has just released a new book called Every Which Way Crochet Borders, and I'm thrilled to review it and to participate in her blog tour. Lucky me--I've got my hands on this really amazing book. I'm not just saying it's amazing because they gifted it to me. Let me tell you why I love it. Clear instructions for each round--that also show the color changes used in the sample. Stitches & notes sections that includes easy to follow special stitch instructions and tips. Close-up color photo of the border. Stitch diagram including the multiples and corners. Attributes--like "reversible", "undulating", "layered" or "wide". There is even a table of all of the attributes if you are searching for a specific border style. Trouble-shooting borders that don't lay flat, using color to enhance your border, determining the stitch multiples you need, fudging stitch counts, and handling corners are all addressed--and more. Complete border directory for finding the perfect border for your project at a glance. See...? Truthfully--I'll be using this book a lot. In fact, I've got a design on my hook as we speak and will be needing a border for it. I'm feeling confident that I'll find just the inspiration I need in this book. *You can find the Scheepjes Stardust yarn on Wool Warehouse here or Deramores here. 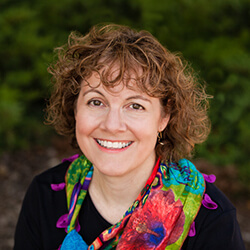 Edie Eckman is the best-selling author of Beyond the Square Crochet Motifs and The Crochet Answer Book and the coeditor of Crochet One-Skein Wonders and Crochet One-Skein Wonders for Babies. A nationally celebrated crochet and knitting teacher, designer, writer, and editor, Eckman lives in Waynesboro, Virginia. Lucky me--lucky you!! Because of my participation in this blog tour, I've been given permission to share a FREE pattern from Edie's book! You can find that unique pattern here. You can follow along on the blog tour here. More free patterns from the book, more chances to enter to win your own copy of the book, and lots of fun blogs you may not have discovered yet. If you've just found me on this tour, please stay in the "Button Loop" by following me around on Facebook here, Instagram (@FeltedButton) here and Pinterest here. Be watching for a new blanket pattern to be released in just a couple of days, too! * This post contains affiliate links. Thank you for your support. What a well-thought out, comprehensive book! Love the border directory -- simply brilliant! A must for every crochet enthusiast! 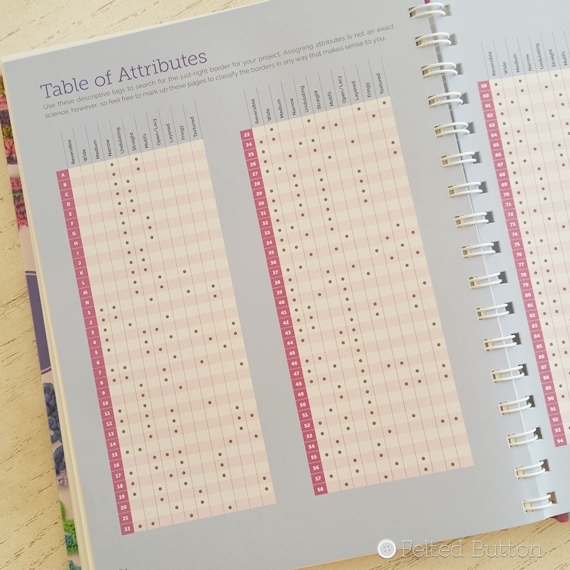 I love spiral bound pattern books, and this looks like one I need to add to my collection! This is for sure on my to get list!!! Love borders and edgings that are different and eye catching. Thank you for the freebie!!! Unique borders add so much character to all crocheted items. Something rather plain becomes so much more with a creative border. What a fantastic idea for a book to just give us creative and beautiful borders. I would love to win and if not, I most likely will purchase this book! Love that this book has a directory with pictures of the borders and is spiral bound so it will lay flat. I have two of her books. They are well written and I love the charts as well. I would love to take a class from her someday! Thank you for offering this great book! I love spiral bindings! They make it so much easier to read. I also like that there is a quick look-up section for the borders-a great feature for any book! I love her books especially that they are spiral bound. I like to add borders to almost everything from shawls to blankets. Thank you the opportunity to win this beautiful book! I love that the book is spiral bound. It makes it so user friendly. I add borders to almost everything from shawls to blankets. Thank you for the opportunity to win this book. Like the other girls, the spiral binding on pattern books is a winner. I have Edie's other boarder book and so happy with this addition along with this book being all new boarders. 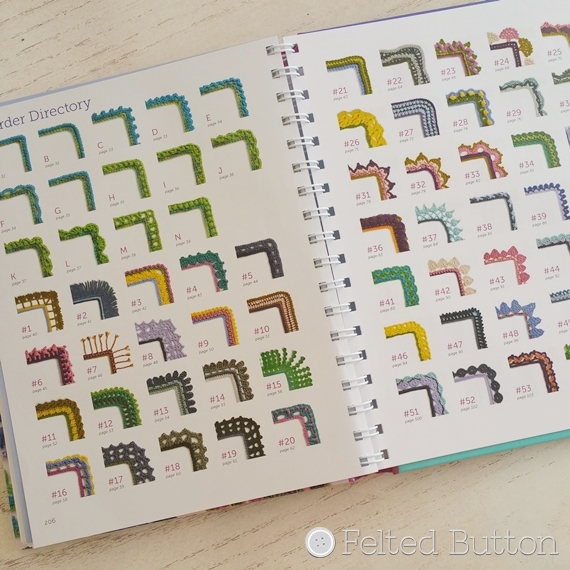 I have just treated myself to Edie's around the corner border book, it is amazing and so I really would love to add this to the collection! Need to add this book to my collection! This is awesome! I love adding pretty borders to afghans and loveys, and Im always looking for something different. Thanks for the super thorough review and the giveaway. I especially like that you mentioned all the ways the borders are searchable. I have her first book and can't wait to add this to my library. Look like a wonderful book and thanks for the chance to win a copy ! I would love to own this book. So many possibilities I see inside! Wonderful book. I like to add borders to blankets that I crochet. These edgings are gorgeous! Thank you for the opportunity to win this awesome book. Oooo, this book looks awesome. This looks like a great book! I am always looking for a border for my projects - most recently I needed one for a crocheted border on a knitted afghan made by our Prayer Shawl ministry. This book would have come in handy! I am thinking about putting a border on my Felted Button CAL Temperature Blanket... :) Thanks for the opportunity to enter! This looks like a fabulous book. A must-have! This looks like a great resource. 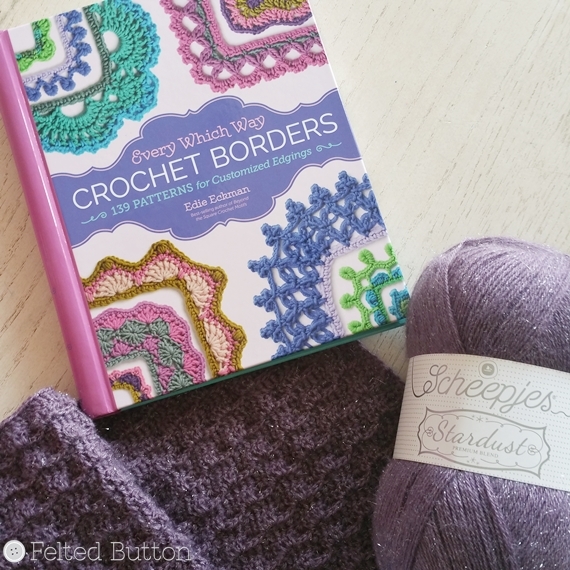 I'll definitely be adding it to my crochet library! A border makes or breaks the project, can take it from blah to wow!